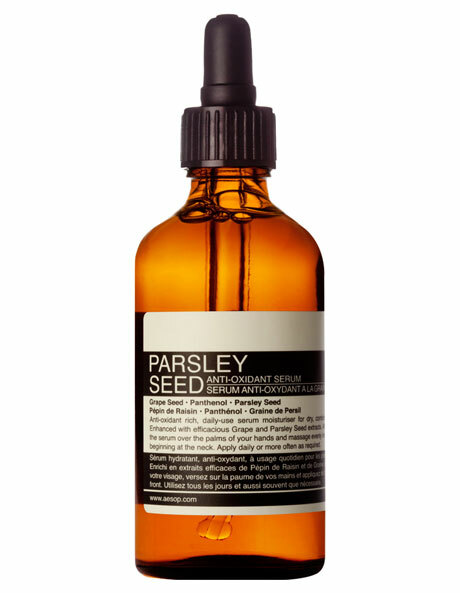 Soften and fortify skin with this Parsley Seed Anti-Oxidant Serum by Aesop enriched with skin soothingaloe vera and antioxidant rich sea parsley. Skin is left exceptionally hydrated, strengthened and softened. The fast-absorbing serum is an appealing alternative to cream or oil-based hydrators and suited to normal, combination and sensitive skin.